Hi, I'm Rudy. I’m adopted! Rudy was adopted July 2016! Rudy is 30 lbs of adorable mischief! She’s about 9 months old and full of juice! 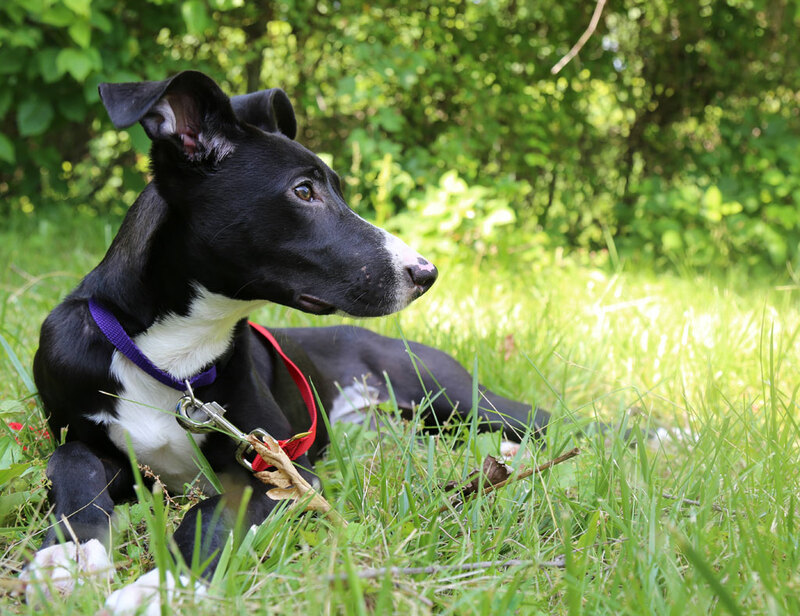 If you are looking for a super-sweet bundle of personality, Rudy may be the dog for you. 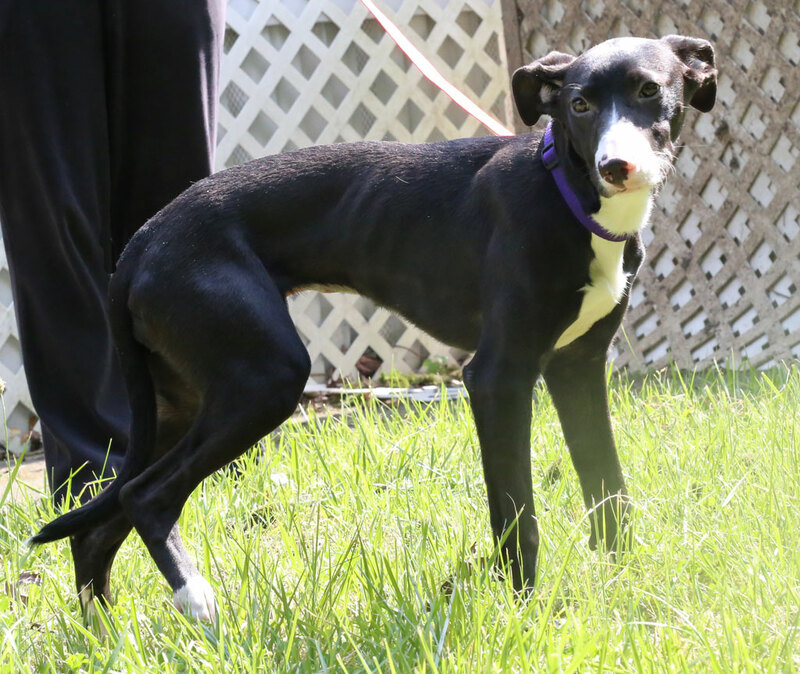 She’s a whippet mix who came into the shelter as a skinny young stray. Shelter life was not for her. 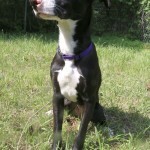 Timid and underweight, she didn’t spark any interest at the shelter and her time was running out. That’s when we stepped in, bringing her into foster care where she could get appropriate treatment for her intestinal troubles. She has flourished! Rudy’s slowly putting on weight and is oh-so-devoted to her human caregivers. She is constantly playing and getting into mischief, but she’s housebroken and crate-trained. She chews a lot, but not destructively. She loves to run away with your shoes or a comb or a stuffed toy or, well, you name it. Rudy’s good with dogs and cats (though at this puppy stage, she tends to annoy both after awhile), and she would be good with kids over 8. Because she’s still so young, she’ll need leash training and work on things like jumping up and appropriate chewing. She’s also a bit mouthy (perfectly normal for this age) and will need work on that as well. Rudy is altered, microchipped, and up-to-date on her shots. 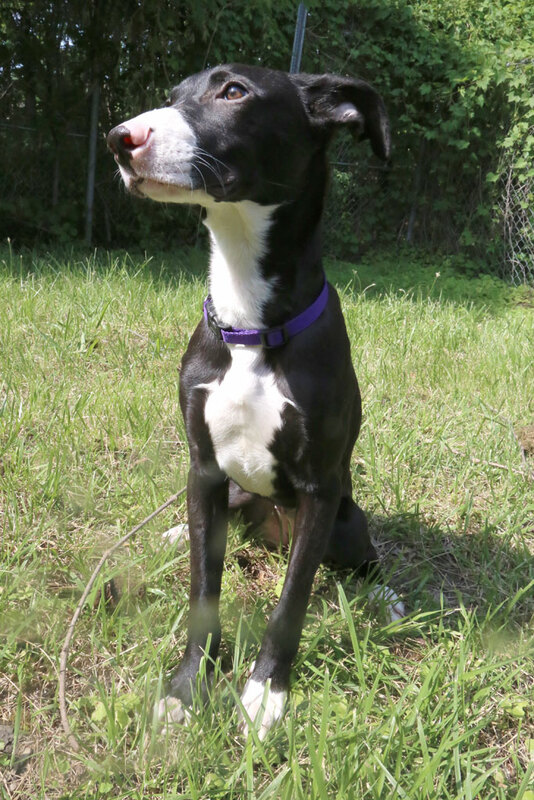 She would love a home of her own where she can run and play and entertain her humans! If you are interested in Rudy. I’m adopted!, consider letting us know by filling out a (no-obligation) adoption application. Please consult our Adoption FAQ before contacting us. 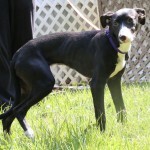 Rudy may attend the next adoption show, July 9, at the Calverton PetSmart.